Search HIstory of Medicine’s collections that include historical materials in all areas of the health sciences, including dentistry, medicine nursing, pharmacy, & public health. 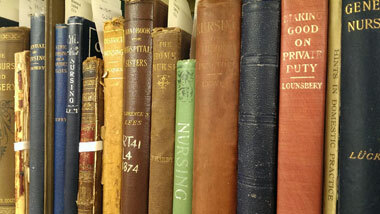 The Robert L. Brown History of Medicine Collection was established in 1972. The collection was named in 1985 for Robert L. Brown, MD, former Associate Dean of the School of Medicine, in recognition of his strong support of the Health Sciences Library for more than twenty-five years. The collection includes historical materials in all areas of the health sciences, including dentistry, medicine nursing, pharmacy, & public health.